Every woman knows that from year to year it is more and more difficult to preserve the health and natural beauty of her hair. Fatigue, stress, unhealthy diet, pollution in the environment – all this has a negative impact on the structure and general condition of the hair. Only correct and timely hair-care can prolong the youth, freshness and beauty of the hairstyle to old age. 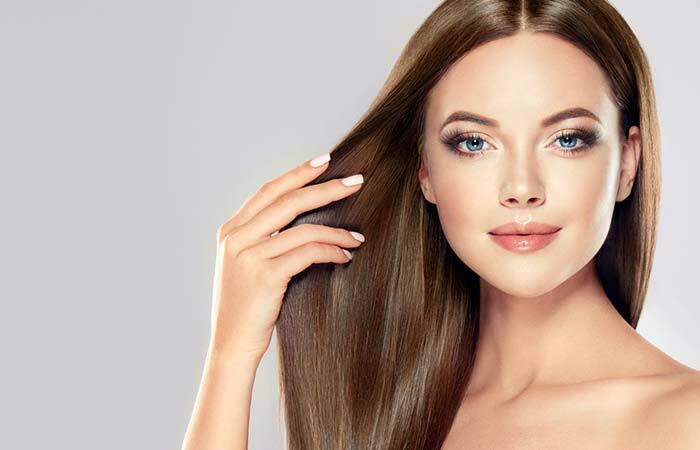 In the modern world, it is necessary to take care of your hair in a complex way – to properly wash, dry, style, apply various masks, balms, conditioners and other hair-care products. The use of low-quality products can damage the scalp and hair structure – hence the brittleness, hairloss, dandruff and other troubles. The best solution to these problems will be a complex use of care products for the curls and the scalp. Effective hair care products should be based on natural ingredients and targeted to a specific type of hair and scalp in order to provide complete care based on individual needs. Natural active ingredients effectively nourish the skin of the head, strengthen the hair follicles and roots, and also protect the hair structure from damage, giving it softness and natural shine. To choose the right shampoo, follow the simple principle: take a shampoo for your hair type and read the composition, and after applying, analyze the results. A good shampoo should not cause itching, dandruff and hair loss. The use of a conditioner facilitates drying, gives the hair elasticity, makes them docile, and enhances the effect of shampoo. These hair-care products should also be selected according to the type of hair, and its use should not cause an allergic reaction. Some products are designed to treat hair – they nourish and restore the hair follicle. Pay attention to the tips of the hair. It is the tips that most quickly dry out and spoil the whole look. Use special oil for the ends of the hair. Trim them. Once a week, perform the following procedure: before washing your head, apply Vitamin E oil solution on your hair ends – hold for 15-20 minutes. Then apply raw yolk on your hair, rub and after 15 minutes wash your hair without using shampoo. In the morning and evening, tilt your head down and brush your hair in different directions. So you do a kind of head massage, blood flows to the hair follicles, thanks to which they assimilate useful components better, strengthen and make your hair stronger and healthier. Use natural recipes for the beauty of your hair. First of all, thanks to the oil, your hair will be maximally protected from the effects of chlorine and sea salt. Secondly, under the handkerchief, the “sauna effect” is created and your hair is maximally saturated with useful substances of olive oil. Third, when you come home, you can easily wash off the oil. How To Care For Oily Hair? Wash oily hair with shampoo designed specifically for this type, it should include plant extracts (sage, nettle) and components of seaweed (trace elements). Before shampooing, rub in degreasing products on the scalp: carrot juice or aloe, yogurt, onion juice with castor oil will help. 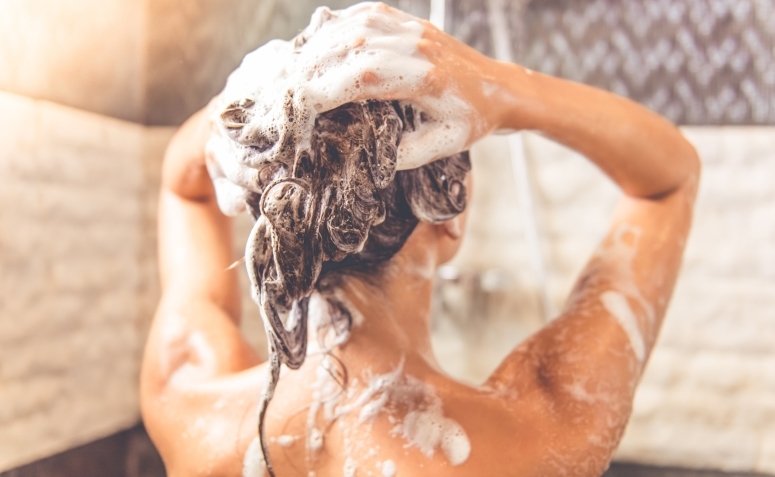 Shampoo should be applied only to the roots and be sure to rinse the hair with chamomile broth or sour water. After washing, do not rub the curls with a towel, it is better to wrap them and let the moisture soak into the fabric, then let them dry naturally without using a hair dryer. When using a curling iron or a straightener, try not to touch the roots, and do not forget to use styling products that protect against high temperatures. To add volume to your hair, it is better to use curlers. Special foam sprays marked “to create volume” or “for shine” should be abandoned, as the oils included in this line, make curls oily. Do not touch your hair strands with dirty hands and brush them as little as possible during the day, so as not to stimulate additional sebum production and distribute it over the entire length. Carrying out such care for oily hair, will ensure that they remain clean and shiny for longer than usual. Thinned hair brings frustration to its owners no less than greasy ones: they are difficult to style, too soft, unruly, often confused, electrified, broken and flawed. Such a head of hair looks like a mist of straw, acquiring an unattractive look. But proper care for thin hair can transform a haircut; make it look more beautiful, healthy and expressive. Care for thin hair must be very carefully done, because they are very sensitive to external and internal aggressive effects. Wash hair using extremely soft water – distilled, well or boiled. Choose a shampoo that is suitable according to the type of your scalp, because it nourishes the hair roots, making them healthier, thicker and more beautiful. Nutrition, strengthening and care for fine hair require careful attention. Monitoring nutrition is very important. It is necessary to avoid infectious diseases and unnecessary stress and getting upset over trifles. It is imperative to include in your diet food which are rich in vitamins B, A, E, C, H and healthy minerals – selenium, iron, silicon, zinc and calcium. The main condition for the beauty of long curls is their health. Care for long hair involves very careful handling. This type of hair dries at the ends, therefore, you need to comb with a brush with natural bristles, dividing them into strands and carefully combing each of them, starting from the ends and moving to the roots, carefully unraveling all the nodules. When combing, in any case, do not tear the knots, this results in split ends. Do not comb wet curls. And when combing already dry hair, use a special indelible means to facilitate this procedure. Do not leave the hair open during a strong wind; better tie it in a ponytail or braid. Regularly make nourishing masks and apply moisturizers. In the summer, protect your hair from the sun, and in the winter – from frost. Trim the ends regularly – every two months for about 0.5-1 cm. It is necessary to wash long hair with water at room temperature, and carefully comb them every wash.
Care for long hair is not an easy task. However, all the above recommendations will help to significantly ease it, they are easy to do and at the same time will make long curls really beautiful, healthy and well-groomed. How To Care For Colored Curls? Use special shampoos and conditioners designed for dyed hair, in which there are no oxidizing agents and ammonia. Minimize the use of thermal instruments. Comb the hair during the day and before bedtime. To revive the color, use tint balms, foams or decoctions of chamomile and onion peel. 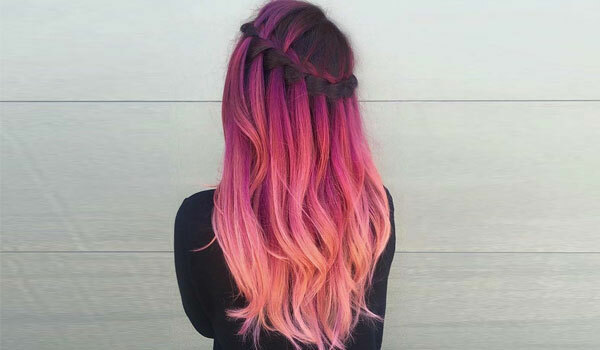 Remember that the care of dyed hair involves the use of gentle styling products. As a result of their use, the structure of the hairs is slightly normalized, and the luster persists for several days. Thus, from all of the above, we can conclude that hair care is a lifelong exercise. You cannot take care of your hair for 2-3 months, and then forget about it, hoping that the hair will remain healthy and beautiful forever. Be regular and systematic in hair care and then you will always look stunning. I am passionate about writing story and health blogs. I love to watch action and comedy movies. like yoga and exercise, be a fit and healthy women. Travel and food is my best hobby I never miss this chance.